Katerina Katsarou received her Diploma from the Department of Electrical and Computer Engineering-Polytechnic School of University of Patras and her Master's Degree in Computer Science from University of Ioannina. During her graduate studies she attended courses in the field of Data Mining, Statistical Algorithms for Medical Applications and Advanced Topics in Relational Databases. 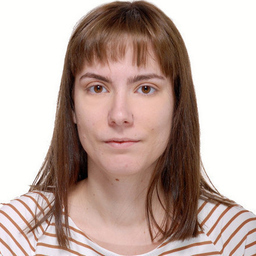 She participated in research projects in the Department of Computer Technology and Informatics of University of Patras and was a lab assistant in the Department of Computer Science and Engineering of University of Ioannina. In January 2018, she joined the Service-centric Networking group of Prof. Dr. Axel Küpper at Telekom Innovation Laboratories as a research scientist in the field of data science and machine learning.